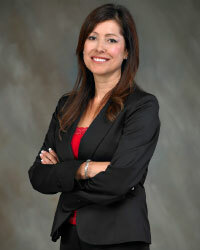 Deborah Perez has been serving the Inland Empire Area for the past 12 years. Deborah primarily focuses on residential real estate, including single-family residences, condominiums, and multi-family units. She is a team player that accredits her success to her unparalleled communication, integrity, and trust. Deborah is capable of negotiating cash for keys, managing vendors, coordinating property repairs, and reviewing files for legal compliance. She handles transactions of bank-owned properties from start to finish, effectively controlling costs, mitigating delays, and maximizing the bottom line. Deborah has a proven track record in property valuation, marketing, and sales negotiations of REO properties that have led to an average of 65 successful closings per year.